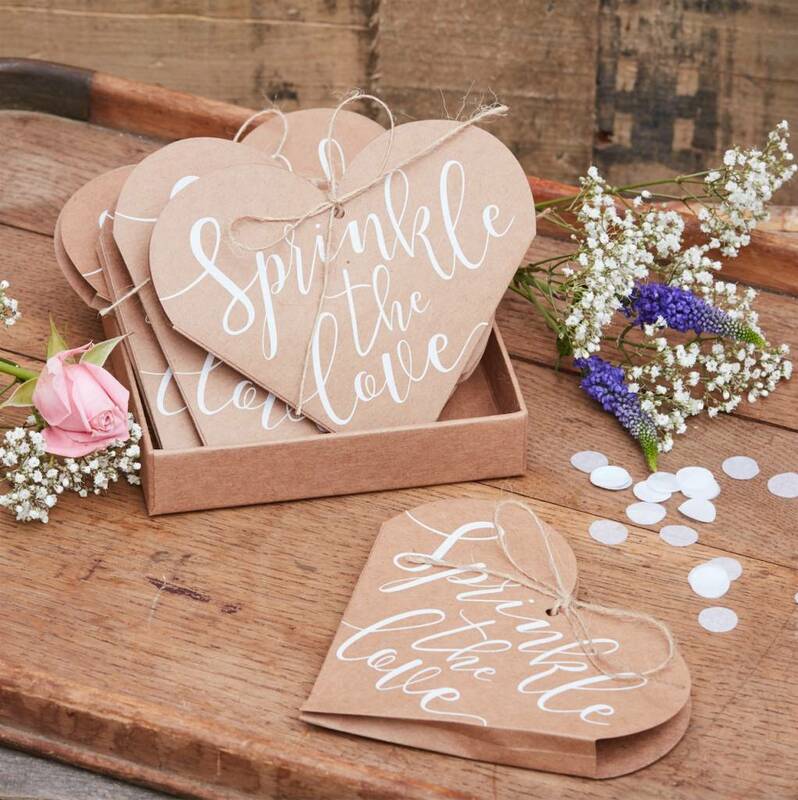 These adorable 'Sprinkle The Love Heart Confetti Cones' are a memorable rustic touch to finish off your celebrations. Guests will delight in sprinkling the confetti over you after you say your 'I Do's'. The perfect end to a beautiful day and makes for some beautiful photos as it rains confetti! font across the front. Hessian ties are included. Confetti is not included. Each pack contains twelve cones measuring 12cm (H) and 13.5cm (W). These cones will stretch when filled with confetti.